Gaining An Edge: The number one regret of many successful business entrepreneurs is having not taken more risks. Ask them. They will tell you that they wish they had taken more risks but didn’t, and they regret it. For those that want to grow, prosper, be more successful, risk taking or stepping out of your comfort is required. Sure, you’re doing fine and comfortable where you are with what you’re doing. But are you going to get ahead beyond the normal cycle of time-based raises and promotions by not taking risks? Chances are NO. 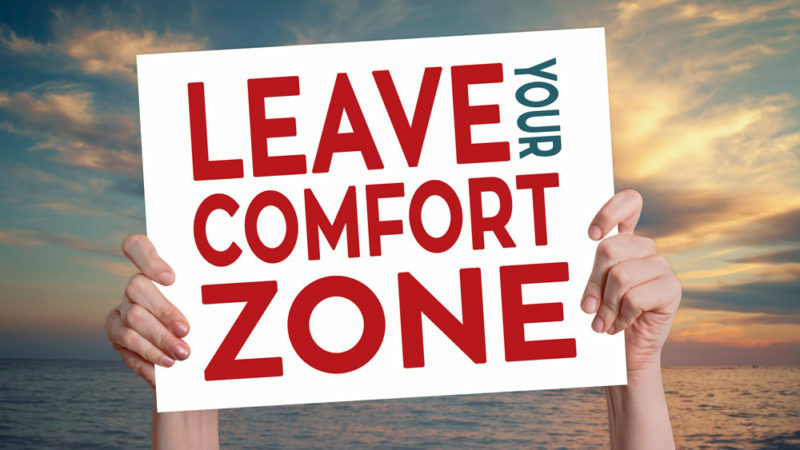 For those business developers looking to step out of their comfort zone, or anyone for that matter, the risks may be small or large, personal or corporate. On one extreme it may be engaging a wall flower-type client or sitting at an event table filled with unknowns or engaging a high level client just to say hello and introduce yourself, or going to an event you normally would not attend. To the other extreme, it may be going for the “big” one and taking on well-known and respected adversaries. Or pitting yourself against your peers, both internal and external. Or going out on a limb sharing something where you normally would not want to risk turning someone off when there is a fair change you could “hit a home run.” Perhaps there is a job change to consider, or even starting your own company. Taking risks presents confidence, making you stand out and a break away from “average.” Don’t limit yourself. You can learn new skills. Change doesn’t happen if you don’t take risk. Recognize the cost of inaction and sticking with the status quo. In today’s highly competitive environment, status quo is not an option. You hear the term transformation. That comes with risk. Taking risks may take you to places you’ve never been before. Often we exaggerate the consequences of something going wrong. Sure, there can be failures. But don’t underestimate your abilities. Learn from any failures. It’s ok to not be successful in each and every endeavor. To never fail means that you haven’t stepped out of your comfort zone and tried something a bit out of your reach. Taking risk may seem reckless, but it is better to be reckless than to envy those that take risk and succeed.